KENTUCKY -- A Bullitt County man remains in serious but stable condition at University of Louisville Hospital after being attacked by [his daughter's] pit bull over the weekend. Besides his dog, Shadow, a motion sensor may have also saved Bill Grider's life. The sensor was a gift he gave to his neighbors, and now it's giving him a second chance at life. "Shadow is a hero," said Debbie Bradley, who has known Shadow for over a decade. Bradley described her as a loyal and loving dog, so Shadow's act of heroism doesn't surprise her. "Shadow's part of the family around here," she said. "For her to go off and set my beeper off, the dog seen the pit bull attack Bill and couldn't get our attention, that was the way she did it." Bradley said she had just unplugged her vacuum cleaner when she heard the beeping sound her motion sensor emits when activated. Paul Renfrow, ran across the yard to find Grider in the fetal position and being attacked by the pit bull. Renfrow said he threw the dog off Grider and then shot and killed it after the pit bull lunged at him. "I could see all the meat hanging off his arms and blood pouring out of his neck, so I reached down and grabbed the dog by its mouth and flipped him back away from Bill," Renfrow said of the attack. 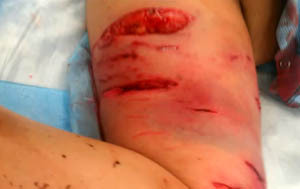 Authorities said the dog had nipped Grider before, but they don't know what provoked it to maul him Saturday evening. "One of the officers who was at the scene says it was the worst dog attack he's ever seen," said Sgt. Mike Murdoch of the Bullitt County Sheriff's Department. Murdoch said there will be no further investigation on the attack. Now Shadow sits and waits for Grider to come home, bringing a whole new meaning to the term "man's best friend." "It was God's hand, I believe," Bradley said. "Everything happened like it was supposed to happen." Grider's wife told WLKY that she's so upset that she couldn't even begin to talk about what happened to her husband. Grider was taking care of his daughter's property and dogs because authorities said she is in jail for manufacturing methamphetamine in that house. 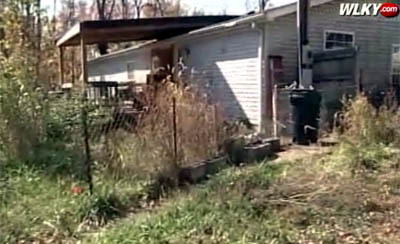 OHIO -- A dog died after suffering an attack from two canines that got loose from their home. The incident occurred at 2:47 p.m. Oct. 31. An officer responded to a call about the two dogs attacking another in front of a house. He went there and saw someone leading two American Bulldogs down the street. A woman, 69, with blood on her hands and jacket approached him and said she was walking her Puggle dog on the sidewalk when the dogs attacked it. She carried it to a nearby garage. The two-year-old dog was bitten in the throat and had difficulty breathing. It was wrapped in a blanket. Someone took the woman and her injured dog to a nearby animal hospital. The wife of the man who owned the two dogs said the dogs got out of the house when her husband did not properly close a door that was not shutting properly. She found them attacking the other dog. The officer noted the dogs were "friendly to humans". Oh, then it makes it OK for these dogs to have killed the Puggle. What is the point of saying, "Oh it was covered in blood but friendly to me." Well, so is Ted Bundy -- until he decides to kill you! The woman said the dogs often chased and kill groundhogs they find on her property. She and another person were bitten when they tried breaking up the fight. The injured dog had to be put down. It also had to be checked for rabies due to a recent case in Summit County. The officer learned a witness went to the hospital due to chest pains because of the dog attack. She, however, seemed fine later, the report said. The officer told the resident to fix the door and keep the dogs quarantined for the required 10 days. He cited the 40-year-old owner of the dogs, which was the woman’s husband, for allowing the dogs to run at large, animal bites, no registrations and no rabies vaccinations. He also said the dogs should be declared “vicious” due to the nature of the attack. 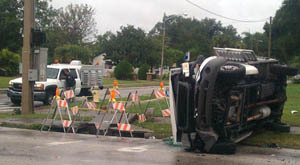 FLORIDA -- Officials say no animals were injured after a Pinellas County Animal Control truck crashed and flipped over Monday morning. The accident happened at 5th Avenue South and 37th Street South. Investigators say the truck collided with a car after one of the vehicles ran a red light. the dogs rescued from an overturned Animal Control truck. Firefighters freed the driver of the truck and then rescued two dogs and one cat from the boxed compartment on top of the vehicle. The driver of the other vehicle was treated at the scene and transported to a local hospital for observation. Both dogs and the cat appeared fine. 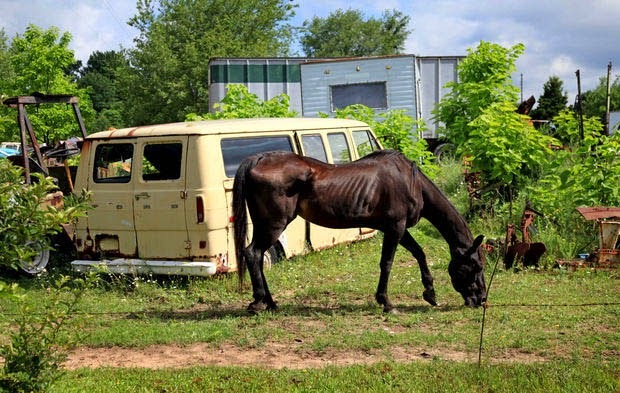 MICHIGAN -- Sugar, who had reached iconic status as the "junkyard horse of Mattawan," has died. She was at least 34. 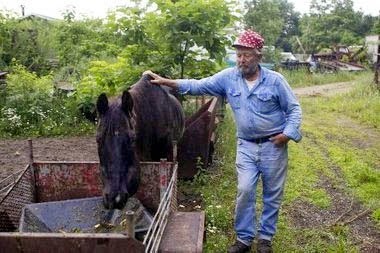 The chocolate-brown mare was put to sleep Saturday, according to the wife of Don Austin, owner of Mattawan Auto Sales on Main Street, where the chocolate-brown mare grazed among old farm equipment and pickups and other items from the salvage yard. Sugar had her own Facebook page, where people regularly reported sightings of her in her pen or share memories of feeding the mare years ago in their youth. 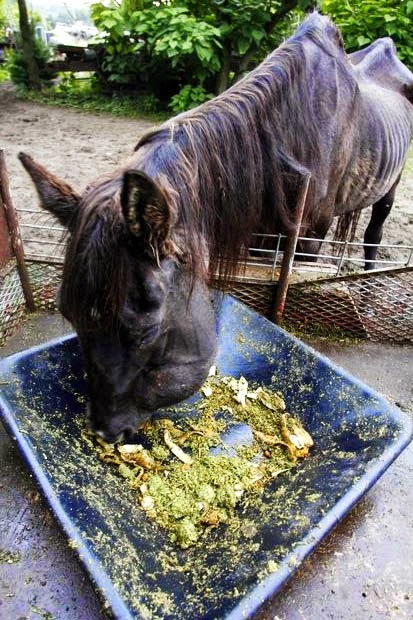 What is with the puff piece on this horse which was forced to live in disgusting conditions? Oh, she had her own Facebook page... wow. I never saw a Facebook page dedicated to an emaciated horse living in a junkyard. Good lord, MLive, what is wrong with you??? FLORIDA -- A pit bull was shot and killed on Saturday after the dog had bitten a woman and charged at a police officer, according to Boca Raton Police. It happened just after 4 p.m. on the 2100 block of Northeast Second Drive, police said. The victim called 911 to report her neighbor's pit bull terrier had escaped from a fenced-in backyard and had threatened her children. While getting her children inside to safety, the woman was bitten on the leg by the dog, according to the police report. When officers arrived, the dog was near the carport of a house at 2135 Northeast Second Drive. They tried to contact the resident at that address and spoke with a man who said that his dog was inside, the report stated. When the officer got out of his car, the dog charged out at him barking furiously. The dog stopped briefly near the front of the officer's car then charged at the officer again. The officer fired one shot, which hit and killed the animal, police said. The victim suffered minor injuries. 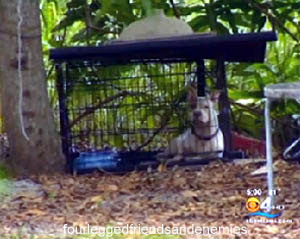 The dog's owner and Palm Beach County Animal Control were notified, police said. GEORGIA -- A dog seriously injured after being hit by a car spent days wandering around before an animal rescue group stepped in. Now he's getting life-saving medical attention. The drowsy animal was recovering at a Canton animal hospital after veterinarians removed his left eye. Doctors said they believed he was hit by a car in Norcross and couldn't find his way home. "(He) stumbled into the road or ran across the road in a confused state and somebody hit him, struck him with their vehicle," said Dr. Jeff Cribb. "He was probably rolled or dragged for a few feet and he sustained massive injuries." Karyn Wallace with Angels Among Us Animal Rescue said if it weren't for her agency, the dog would have died. An anonymous phone got the ball rolling, and her rescue group was determined to save his life. "When I saw the picture I covered my mouth," said Wallace. "I thought of ‘Phantom of the Opera,' the lead character - and how he lived his life with half his face covered." 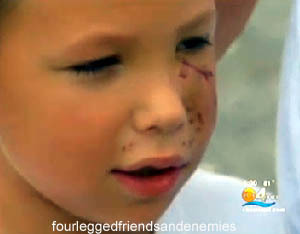 But the dog, nick-named Erik, had more injuries than what was visible. "The left side of his pelvis has been dislodged," said Cribb. Erik also broke one of his legs in the accident and veterinarians can't believe the dog survived. "There was a very good chance with the injuries that he sustained that he could have perished," said Cribb. Now the rescue group faces thousands of dollars in medical costs and are pleading for help. "Probably the most expensive one we've had," said Wallace. "We're a rescue group and like everybody else we're struggling. We save as many animals as we can but we can't do it without our fans." Once Erik has a chance to heal a bit, the animal rescue group plans to find a foster home for the dog in the next couple weeks. UNITED KINGDOM -- A disabled pensioner was powerless to prevent a Staffordshire Bull Terrier from killing his beloved dog on an early morning walk. Walking with two crutches, Keith Rayner, 72, was abandoned by the Staffie's female owner as his dog, Benjy, lay dying on the ground following the savage attack in Savernake Park in Savernake Road on Monday. The woman dog owner told Mr Rayner, who has had three hip replacements, that she would go and get help but never returned. Instead, Mr Rayner, who was unable to pick up his fatally injured dog while holding his crutches, was left alone at 6am shouting for assistance. Mr Rayner, of Robjohns Road, Chelmsford, said: "I needed to help my dog but I couldn't do anything. "I couldn't pick him up. I was stuck and just left shouting in the park. "She didn't care about me. Her dog killed Benjy and she didn't even have the courtesy to come back. "I told her 'I can't move' and she said that she would take her dog away before coming back to help. But she never came back. "How could you do that to another human being? It's disgusting." Mr Rayner was taking Benjy, a six year-old Jack Russell, for the first of his two walks. Activities, he says, that help get him out of the house. Shortly before heading home, the unleashed dark Staffordshire Bull terrier attacked Benjy, who was on his 30ft extendable lead. For 10 minutes the Staffie repeatedly bit his back and hind legs – before 'locking on' to Benjy. Mr Rayner beat the Staffordshire terrier with his crutches and the woman tried to release her dog's vice-like grip from one of Benjy's legs. Eventually, two passing builders and a resident of Savernake Road heard Mr Rayner's screams and came to his assistance – calling the police and wrapping his dying dog in blankets. The police arrived and took Benjy to an emergency veterinary surgey in Witham. The Jack Russell later died from its injuries. Mr Rayner and his wife Doreen are "devastated" by the loss of Benjy and, after 47 years of dog ownership, they will never get another one. Mr Rayner said: "I don't think we could put ourselves through this pain again." Investigating officer Pc Matt Dalby said: "This was an appalling incident. His dog had not a chance against the Staffordshre. Police want to trace the woman, believed to be in her 30s. She walked away along Writtle Road towards Waterhouse Lane. Call PC Dalby at Chelmsford station on 101. MICHIGAN -- Allowing her two dogs, both pit bulls, to run loose proved costly Wednesday for a Buchanan area woman. Berrien County Trial Court Judge Scott Schofield sentenced Heather Marie Pruett, 33, of North Hamilton Drive on the western fringe of Niles Township, to 30 days in jail and 18 months of probation. In addition, she’ll be required to perform 180 hours of community service at a local animal shelter. Also, she was ordered to pay $1,360 in fines and court costs and up to $30,000 in yet to be determined restitution to three Buchanan residents who are still recovering from injuries suffered when they were attacked by the dogs. Also injured was a dog one of the victims was walking, resulting in veterinary bills exceeding $400. According to court documents, the attacks occurred several hours apart on Sept. 10, with the first involving Doyle Vergon, a former Buchanan city manager and commissioner. 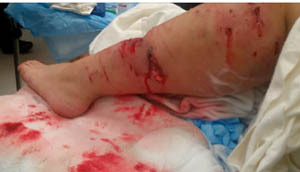 Vergon was walking his dog, Wilma, at Dewey and Short streets in Buchanan when the pit bulls attacked him and his dog, inflicting serious wounds to Vergon’s leg. The documents indicate Vergon’s injuries and those to his dog would have been worse had two witnesses not intervened and chased the pit bulls away. Later that day, the dogs attacked Margaret Desenberg outside her house. Her brother, Lou Desenberg, a retired attorney, rushed to assist her and, like his sister, was injured as a result. Court documents state both Desenbergs will require skin grafts. A police report of the incidents said the dogs had been missing from Pruett’s residence for as long as two days prior to the attacks. The dogs were captured by the Berrien County Animal Control Department and destroyed following a quarantine period. VIRGINIA -- Surveillance video from the house across the street shows an undercover police officer delivering five pounds of marijuana to this home on 71st street in Newport News. Within a minute, it's picked up by one of the suspects. Police come in with a search warrant to check the home for drugs. They knock on the door. When the man doesn't answer, they break the door down, calling out for the suspect. That's when one of the officers is attacked by a pit bull - bitten in the groin and taken to the ground. Another police officer shots the dog, and the pit bull is killed. It's a dog, neighbors say, has had trouble in the past. "She said the dog was barred from the state of North Carolina for biting children. The dog had bit her and that the dog had bit a friend. And that they didn't know what they was going to do with the dog," says one neighbor. The suspect was arrested, along with two other people living at the home. The police officer attacked by the dog is doing fine. Neighbors say they're not surprised to hear the pit bull attacked the officer. "It got to the point where whenever I came outside, I looked to see where the dog was. Instead of going this way, I would go this way. Because I'm not going to put myself in harm's way," she says. It was so bad that the woman, who requested we not give out her name, even kept a journal of all the times the dog was a neighborhood nuisance. From Memorial Day on, these sheets of paper are the running diary of a woman who says she was terrorized by her next door neighbor and her troublesome dog. "The day I was doing yard work, and that's when he sicced one of the pit bulls on me." Five pounds of marijuana was seized and 26-year-old Tywana D. Holley was charged with possession of marijuana with intent to distribute, the sheriff’s news release said. 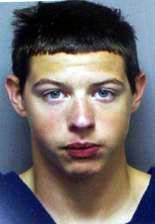 He was being held at the Newport News City Jail. 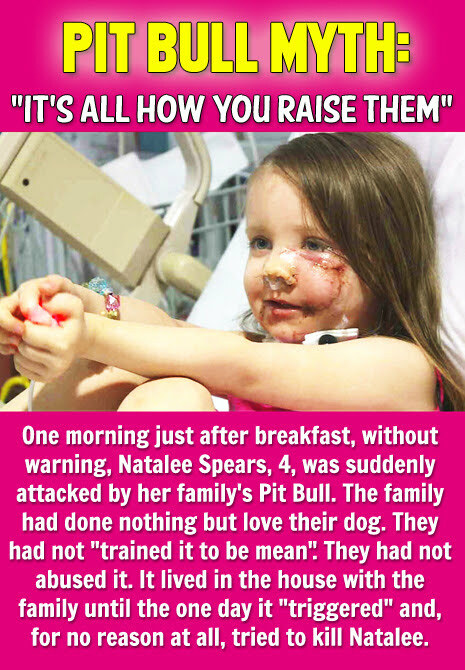 PENNSYLVANIA— Tragedy turned into excitement Thursday night for a 10-year-old Butler County boy whose puppy was put down several months ago after it was mauled by a neighbor’s pit bull. Fourth grader Joey Hershberger, of Butler Township, was walking his Chihuahua “Daisy” last August when a pit bull running loose attacked the small dog. A family in Armstrong County saw the story in August, and today, and followed through on a promise to give the boy a dog once their pregnant dog gave birth. Hershberger’s mother, Janene, drove her son to Cowansville where he picked up a 7-week old Chihuahua puppy. He named the pooch J.J.
Hershberger was thrilled and he said he wanted to get home and cuddle in front of the TV with his new pup. Kelly Burdette said she was so touched by the story about Joey and his dog, she wanted to take away some of the boy’s pain, by giving him a new dog. 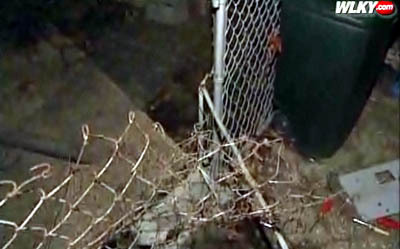 Butler Township Dog Warden Eugene Henry told KDKA-TV that the pit bull that mauled Joey’s dog [to death] was put down. 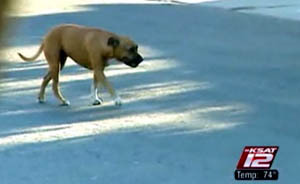 The owner was fined for not having a dog license and for letting his dog roam without a leash. [That's it?! A couple $50 fines?! Argh. This is the problem with the 'dangerous dog' laws. All the moronic owner has to do is let them euthanize that particular pit bull. Then they're free to go get another aggressive dog. No one tells the owner, "You cannot have this type of dog again." OHIO -- A Rottweiler attacked and killed a neighbor’s Yorkshire terrier Wednesday on Bell Court, according to an Elyria police report. The Yorkie’s owners, Sean and Amanda Flemming, had let their three small dogs out into their back yard around 11 p.m. and heard a large dog barking at their pets, they told police. They then saw the Rottweiler attack their Yorkie, according to the report. Sean Flemming tried to save his dog from the Rottweiler after it had continued to attack the Yorkie which was underneath the Flemmings’ pickup truck, according to the report. The Flemmings were eventually able to rescue the injured Yorkie and took it to Animal Clinic Northview, 36400 Center Ridge Road, North Ridgeville. The Flemmings told police their dog had several puncture wounds and broken bones. Lorain County Dog Warden Jack Szlempa confirmed that the Yorkie died as a result of its injuries, but could not provide further details yesterday afternoon. When police arrived, they found the Rottweiler near a fence at its owners home, the report stated. As officers approached the dog, it began to growl and lunged at one of them. 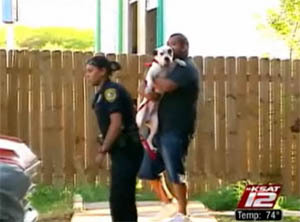 The officer fired his gun at the dog, but the report stated that the dog was unharmed. The officers made contact with the Rottweiler’s owner, Anthony Smith, 48, who then secured the dog inside his house. He was cited for dangerous and vicious dog and having unlicensed dogs. He is scheduled to appear in Elyria Municipal Court on Wednesday at 10 a.m.
Amanda Flemming, when contacted, said she was too upset to talk. FLORIDA — An 8-year-old Deerfield Beach boy who was viciously attacked by a pit bull is recovering at home after being hospitalized for the past five days. Nicholas Garvey walks with a slight limp, but said he’s happy to be home with his family and tells CBS4 News that he’s hoping he will be able to go trick or treating on Halloween. Nicholas Garvey and two of his friends were riding their bikes up and down the 300 block of SE 1st Terrace on Sunday, October 23rd when a two-year old pit bull managed to get out of its crate and charged the boys. 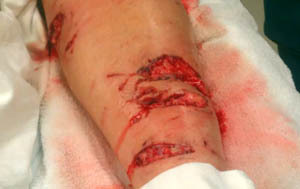 Garvey tried to get away on his bike, but the dog ran after him, knocked him off his bike and bit him. Garvey tried to run to his friend’s house but the dog caught him and kept attacking. The grandmother of his two friends, Sharon Haynes, came to Garvey’s rescue and tried to beat the dog away from the boy with a bike. Haynes says she’s glad she was there to save Nicholas. “If I wasn’t there I don’t know what would have happened. God put me there for a reason,” Haynes said. On Thursday night, Nicholas and his dad had a chance to thank Sharon Haynes for stepping in. “I said, ‘Thank you, you saved my life and I really appreciate it. I gave her a big hug,’” Nicholas said. “I don’t want to see anybody else go through this. The next time could be fatal,” says Brian Garvey. 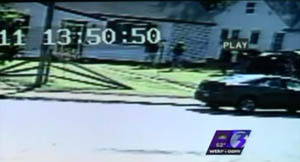 Police recently released the frantic 911 call made by a neighbor. One of the boys called 911. Later in the call, an adult got on the line. The Broward Sheriff’s Office said when deputies arrived they chased the pit bull, named Jada, for about two blocks, and as they reached it, it attempted to attack another dog. Garvey, meanwhile, suffered a broken arm and bites all over his body but was released from the hospital Thursday night. A court hearing is set for late January on the attack and the dog remains in the care of animal control. The dog’s owner, Jeanette Peterson, said the dog was kept in a cage at her boyfriend’s house and she doesn’t know how it got out. She told CBS 4 News she keeps the dog at a different residence because her apartment complex does not allow dogs. Peterson said the dog has never attacked anyone before. Peterson was cited by Animal Control for failing to register and vaccinate her dog along with failure to control an animal which caused injury to a person. Peterson was also given a Notice to Appear by sheriff’s deputies for violating the city’s “Dogs running at large” ordinance. TEXAS -- Police have arrested a man and charged him with a felony after they say his three pit bulls attacked another man in East Austin, causing him severe injuries. According to an arrest affidavit filed Friday, Eric Patrick Knox , 50, has been charged with attack by a dog, a third-degree felony. He was not in custody Friday, according to jail records. The affidavit says that on Sept. 5, Labor Day, a man was walking south on Gloucester Lane near Rogge Lane in East Austin when three pit bulls attacked him without provocation. According to arrest affidavits, at approximately 8:43 a.m. on September 5, 2011, patrol officers responded to several 911calls of a man being attacked by three dogs. Upon the officers’ arrival, the three dogs, described as large pit bulls; a black and white, a blue and white, and a tan and white, stopped the attack and returned to their residence at 5707 B Gloucester Ln. 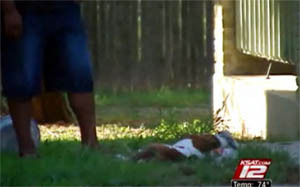 Witnesses [say] the scene was "horrific" and that the dogs were covered in the victim's blood. Witnesses claim the dogs bit the victim any place they could, but went primarily for the head, face and neck area. The first witnesses on the scene allegedly attempted to scare and then beat the dogs off of the victim [with an umbrella], but their efforts were ineffective, according to arrest affidavits. The victim sustained a broken nose, a broken and deformed middle finger, detached ear lobes, severe lacerations to the left side of his face directly under his eye, and puncture wounds to his legs, arms, head, and neck. The victim underwent surgery to re-attach both earlobes, and stitches/staples to close the open wounds. His right thumb is permanently in a bent position, and he is unable to extend it without manual help with his other hand. The left side of his face is numb, and it is unknown yet if he will ever regain feeling in that area. He will need reconstructive plastic surgery and other medical care, the document said. Police discovered that Knox owned the dogs and seized them from his home. The animals were later euthanized, the affidavit said. Police charged Knox because they say he acted with criminal negligence by failing to secure the dogs, the affidavit said. Knox has a lengthy criminal record, according to public records. It includes prior convictions for unlawfully carrying a weapon, evading arrest, possessing a controlled substance, burglary and shoplifting. TENNESSEE -- When Jada Thurmond showed up at the emergency room complaining of stabbing stomach pain Sept. 18, the doctors treated her for a virus and sent her home. By the next morning, the 16-year-old was battling a fever of 102, suffering severe headaches and urinating blood. Her mother rushed her to Children's Hospital at Erlanger. That's when Thurmond told her mother and doctors about the kinkajou bite. To which everyone replied, "Kinka-what?" "I had never heard of the animal, and neither had the doctors," said Thurmond's mother, Miika Montgomery. "I was Googling it, they were Googling it. ... If it had been a dog or a cat or a raccoon they would have known exactly what to do, but they had never seen anything like this." The kinkajou -- native to Central and South America -- is a rainforest-dwelling mammal related to the raccoon. With a mouselike face, catlike body and monkeylike tail, it's a perfect conglomeration of cuteness. originate from rain forests in Central and South America. Photo by Jenna Walker/Times Free Press. But it's a deceptive cuteness, animal experts say, that can quickly give way to sharp claws, canine teeth and nasty bites. Thurmond was playing with her aunt's 6-week-old kinkajou when the animal sank its teeth into her hand. She felt ill within 24 hours and was hospitalized for six days. In their research, Montgomery said she and doctors found out that kinkajous carry a unique bacteria called Kingella potus, discovered only six years ago. Doctors gave Thurmond a tetanus shot and antibiotics, which brought down her fever and healed her gastrointestinal tract. Montgomery hopes her daughter has made a full recovery. But she's still looking for answers, and has filed a police report to document the incident. The girl's aunt, Stephanie James, had bought the creature from a breeder in Florida when it was just two weeks old, Montgomery said. And there was no restriction against keeping the animal in her home. "Since Tennessee has such a vague exotic-pet law when it comes to those small animals, it's not necessarily legal to keep the animals -- but it's not illegal, either," said Montgomery, who works at the Hamilton County Health Department. Tennessee law classifies some species as "inherently dangerous" and requires owners to get permits from the Tennessee Wildlife Resources Agency. But kinkajous don't explicitly fall under any of the categories that encompass other exotic animals, like monkeys or wild cats. "Kinkajous are not specifically listed in any of the classes," said Tom Womack, spokesman for the Tennessee Department of Agriculture. "However, I believe it would be considered a Class III animal, which is exempt from permitting except as determined by our agency." Womack said any wild animal brought into Tennessee must have a health certificate verifying it has been inspected by a licensed veterinarian. The Chattanooga Zoo has three kinkajous on exhibit, two of which are more than 20 years old. They're nocturnal, but when they are awake they're energetic -- climbing, leaping, barking and playing with their food. "They look supercuddly, but they're not cats," said zoo Executive Director Darde Long. "Wild animals and exotic animals have special needs, and it's difficult to replicate those." 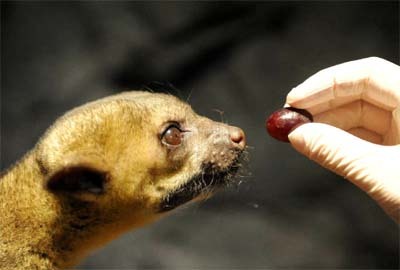 Nevertheless, kinkajous have become a hot item in the last decade, fueled in part by Internet sales, Long said. They gained even more notoriety when hotel heiress Paris Hilton adopted her kinkajou "Baby Luv" in 2005. The animal bit her in the leg a year later, according to The Associated Press. "Even with the nicest-natured wild animals, that moment just happens," Long said. "And [the kinkajou's] sharp teeth and claws -- which save them from predators in the rain forest -- can do some real damage to a person." Montgomery says she wants stricter laws for exotic animal ownership. "I think you should have to be licensed for a pet like that," she said. "That bite took over her body. If it bit somebody else, it could do more damage." LOUISIANA -- An 18-year-old Harvey man has been booked with animal cruelty after authorities say he tortured domestic and wild animals for fun, with one animal dying as a result of its wounds. Daniel Wright, of 2120 Stall Drive, was booked with 10 counts of aggravated animal cruelty on Wednesday, after a tip from residents led authorities to several tortured cats. They say that Wright set the animals on fire, cut off their body parts and shoved items into their anuses, according to Jefferson Parish Sheriff Newell Normand. He is being held at the Jefferson Parish Correctional Center in Gretna on a $1 million bond. Normand called the incident "egregious" and a "shock to conscience." He noted that there is a link to animal abuse and future abuse against humans. Wright has had at least a dozen prior arrests for incidents ranging from theft, to criminal damage to carnal knowledge of a juvenile. "This young man has issues, serious issues," Normand said. Deputies learned of the torture while investigating a complaint by a neighbor of odd behavior by Wright, and the fact that several neighborhood pets had gone missing. Deputy Donna Madere learned that Wright had bragged to friends about mutilating animals, Normand said. Madere contacted the Jefferson Parish Animal Shelter and learned that there had been several cases of animal cruelty in the Woodland West subdivision. Authorities were able to locate Wright through his probation officer and brought him to discuss the incidents. Wright was on probation for a burglary charge. During a polygraph exam, investigators were able to learn that Wright wasn't being truthful about the incidents, and eventually got him to admit to the cruelty. He said he would lure the animals with food, and initially starved them to make them suffer. When that didn't satisfy his cravings, Wright said he began slicing their ears and then burning them. Wright also tortured a possum. It appears that Wright may have been on medication for some time, and had an arrangement with his parents because of prior problems where he was not allowed in the house alone. Normand said authorities are checking into additional animal cruelty cases, plus there are investigating the possibility that Wright may have targeted humans on some occasions. Robin Beaulieu, the director of the parish animal shelter, said that many of the tortured animals have survived although one had to be euthanized. Two of the animals are available for adoption at the animal shelter. She said that it is great that Wright has been captured. "It's good we got this guy off the street," she said. NEW HAMPSHIRE -- A city man faces charges after his two dogs, running loose, attacked other dogs in Rollins Park and a nearby yard in the South End, inflicting life-threatening injuries on one dog. Scott Lewis, 43, a former police officer who served tours in Iraq and Afghanistan in the Army Reserve, told the owner of one seriously injured dog that his dogs had escaped from his yard because of a faulty gate latch. Police say Lewis has been cited before for issues involving the dogs, an American pitbull terrier and an American Staffordshire terrier. Douglas Dow said his Lab/hound mix “Izzy” sustained nearly fatal wounds. He stopped the attack only by pounding repeatedly and hard on the heads of the attacking dogs. Dow nearly broke his hand in the process and was bitten a number of times himself, he said. One of Izzy's rear paws was nearly severed, her chest was torn open and her neck and the rest of her body have numerous bite marks, the dog's owner said. But after being treated at the Russell Animal Hospital, the nearly 2-year-old dog is recovering. On Thursday afternoon, Izzy was back home and lying at Dow's feet, he said. The family is optimistic about her recovery, but because of the leg injury Izzy may never walk again normally, he said. Dow was asleep and his wife and two children were preparing for school when Lewis' two dogs attacked Izzy about 7:30 a.m. Tuesday, he said. “We heard the savage attack,” said Dow. He heard Izzy's cries and raced to help. Dow said his children were traumatized by the incident and his 12-year-old son ran upstairs to get a BB gun. Dow ran outside in his underwear to save Izzy. Then he focused on the bigger dog, which had Izzy's neck in its mouth. He said the pair didn't go after the family's second dog, a Lab/pitbull mix. Another dog was also reportedly attacked near Rollins Park about the same time. Concord Police Lt. Keith Mitchell said a woman walking her dog about 7:15 a.m. Tuesday reported her dog was attacked by two pitbulls. She intervened and her dog escaped with serious, but not life-threatening, injuries, police said. Police seized Lewis' dogs; they are at the SPCA for observation and quarantine. Lewis was served Thursday with two summonses for dogs found at large and four summonses for dog bites, attacks or preys on domestic animals, Mitchell said. 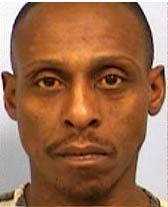 Lewis is scheduled to appear Monday in Circuit Court (6th Circuit). TEXAS -- Alvarado resident April Underwood said Monday that she’s recovering and is OK after being attacked by what she believes to be three pit bulls on Oct. 7 although therapy and skin grafts remain ahead. Much to her relief, Underwood said she recently learned that the dogs, since put down, tested negative for rabies. “I guess I didn’t give them rabies at least,” Underwood joked. Although she laughs now, Underwood said the attack was hardly humourous at the time. “It seemed like it happened so fast after the first dog that I really don’t know when the other two came in,” Underwood said. Taking a walk on High Lake Road, as she does most nights, Underwood said she noticed the first dog outside the fence across the street. Underwood said she had seen at least one of the dogs before but that it was never aggressive and always in the yard. Underwood said she stopped so as not to encourage the dog but then it came closer and began to bark. 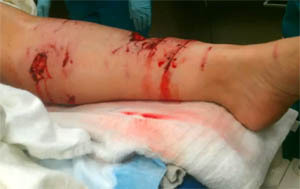 She tried to move toward the porch of a house but the dog ran forward and bit her leg. The dog continued to bite as Underwood screamed for help and tried to get to her cell to dial 911. From the same yard, a second dog ran out and began to attack her, knocking her phone away in the process, Underwood said. At that point, Underwood said she remembers being on the ground trying to get away when one of her shoes came off and she began hitting the dogs on their heads with it while still screaming. A third dog joined in at about the time a woman in a red Ford Explorer passed by and began honking her horn. That caused one of the dogs to stop attacking, Underwood said. Some children heard Underwood’s screams and ran to get their mother and grandmother, who came out with a baseball bat to chase the dogs away before calling 911. Underwood said she later heard that the woman in the truck didn’t get out because she is afraid of dogs. The other two women stayed with her, Underwood said, bringing her a blanket and water while they waited for sheriff’s deputies and rescue workers to arrive. A CareFlite helicopter flew Underwood to Texas Health Harris Methodist Hospital Fort Worth were she spent several hours and received 12 stitches. Underwood said she does not know if the owners of the dogs received any citations or charges. JCSO Lt. Tim Jones said Tuesday that no charges were filed against the owners since they submitted the dogs for rabies testing. Underwood added that she posted video of her injuries on YouTube.com under the title Bites from 3 pit bulls, but warned that the video is extremely graphic. TEXAS -- Austin animal control officials say two pit bulls attacked and killed six goats being raised as 4H show animals at a Northeast Austin elementary school. The six dead goats were discovered scattered in their pen Tuesday morning at Pecan Springs Elementary. The two pit bulls were also found in the pen. The dogs are now in isolation at Town Lake Animal Shelter, where they are being registered as "vicious." It's not exactly known how the dogs entered a gated area that contains the pen. However, a hole at the bottom of a chain link appears wide enough for a dog to squeeze through it. No children had made it to school at the time the dead goats were noticed. "This is not common. This is not something that we deal with so it was very shocking news," said Lydia Domaruk of Texas Agrilife Extension, the agency that oversees the school's 4H afterschool program. Domaruk said the students had been raising the goats since September. The animals were expected to be shown at a contest in January. "We're going to do our best to move forward to make sure it doesn't happen again and to make sure their kids can participate with the animals in the future," Domaruk said. [What a heartless troll. No mention at all about sympathy for the little goats, which were terrorized, chased around their pens, forced to watch the other goats being eaten alive by the pit bulls until it was their turn to have their ears torn off and their faces gnawed off before finally dying. Each goat will cost about $350 to replace. The school is preparing a letter about the incident for parents. TEXAS -- A pit bull was shot and killed after it and two others attacked a group of people, leaving two of them injured, Bexar County sheriff's deputies said. Ernest De La Garza said he barely saw the three dogs coming. "I was just out picking up trash and three pit bulls came at me." The dogs escaped from a house nearby, attacking several people Wednesday, including De La Garza. "I just kept them at bay with the thing that I was picking up trash with and then went in and called the sheriff's department," said De La Garza. Sheriff's deputies came quickly, and when a deputy got out of her car, at least one of the pit bulls ran at her. Deputies said she shot and killed the dog. 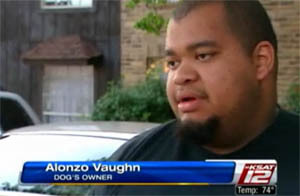 Alonzo Vaughn owned the dog, named Roscoe, and said he was out returning videos to the store when it happened. "By the time I got out, I was told he had attacked somebody and had to be put down," said Vaughn. Vaughn said his dogs were gentle and probably were only jumpy because someone had thrown a brick threw his window earlier in the day. It was the same window the dog's used to get out. "I have my 2-year-old daughter and my 1-year-old son and they pull and play and run and nothing," said Vaughn. The attack had neighbors shaken up. "My little baby doesn't even come outside because there's dogs running around here by themselves," said a resident. Animal Care Services is investigating the incident and took the two surviving dogs into custody. If it's determined that they are not dangerous, they could be released back to the Vaughn. But if authorities decide they pose too great a risk, they could also be put down. HAWAII -- The Maui Humane Society is investigating an attack by a loose pit bull in Paia that injured another dog and its owner Monday afternoon. The attack occurred at about 4:30 p.m. while Paia resident Nyla Nolan was walking Lucky, her German Shepherd and pit bull mix puppy, on a leash in the 200 to 300 block of Baldwin Avenue above Paia town. After seeing the other dog from a distance, she said she turned around and began walking uphill to move away from the female pit bull. "I was trying to avoid her," Nolan said. "I was two houses away from home, but she started running after us." The pit bull appeared to be "stalking" her and Lucky, even crossing Baldwin Avenue in traffic to get closer, she said. "I was on the sidewalk. I had nowhere to go," Nolan said. "It just charged up." Nolan said the pit bull looked at her dog "for three seconds" before biting Lucky, who had rolled over onto his back. "He just wants to play," she said. "He doesn't know how to fight." While her 70-pound dog outweighed the 50- to 55-pound pit bull, Nolan said the pit bull was shorter, more muscular and had a head that was twice as large as her dog's. The pit bull bit Lucky's side before getting hold of his leg. "I could hear the skin shredding," Nolan said. "I started screaming bloody murder. It wouldn't stop." When she tried to kick the pit bull, it nipped her heel, leaving a gash, she said, and her elbow was scraped as she was pinned against a cinderblock wall. Luckily, she said a man who saw what was happening picked up a loose cinderblock and hit the pit bull on its side to stop the attack. "My dog was all bloodied," she said. 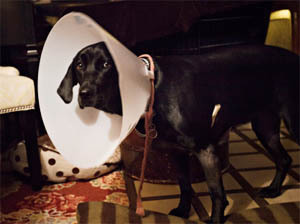 Lucky required 20 stitches, with the veterinary bill totaling $500 even with a discount, Nolan said. With no owner nearby, a responding animal control officer took the female blue pit bull to the Maui Humane Society after the attack was reported. Nolan said others told her about previous attacks by the pit bull, including one that occurred hours earlier Monday but wasn't reported. "Why didn't they call the Humane Society earlier?" she said. "They let this dog continue to be free to attack that same day." Maui Humane Society Chief Executive Officer Jocelyn Bouchard said Wednesday that the agency had no record of prior bites by the pit bull, one factor that's considered in determining whether a dog should be deemed dangerous. "We have no conclusive history of this dog, nothing on record," Bouchard said. She also said the pit bull hasn't been "overly reactive" to other dogs at the shelter, including one that walked in front of the pit bull. "This dog really maintained her composure," Bouchard said. She said the dog was expected to be returned Wednesday to her owner, who had reported the pit bull lost after it got out of his garage. She said the owner would have to pay licensing fees before being allowed to pick up the dog from the shelter. The owner also would be cited for a leash law violation and dog bite, Bouchard said. She said the dog, which has had at least one litter, had been recently adopted from Maui Pitbull Rescue. The pit bull had puncture wounds on her head - which Nolan said probably was from her dog trying to fight off the pit bull. "I'm afraid to go on a walk, knowing this dog could potentially be free and I might encounter it again," Nolan said. Bouchard said animal control officers would be making checks to see that the pit bull was properly restrained. She said the Maui Humane Society was continuing to look into whether there had been prior incidents of bites by the dog. "The investigation is not complete yet," she said. CANADA -- Locals are still in shock over a pit bull attack in Merritt’s downtown core that left an eight-year-old border collie badly injured last Thursday morning. The attack occurred around 11:30 a.m. near the corner of Voght Street and Quilchena Avenue when the pit bull slipped its leash as a Merritt resident walked by with her border collie and her three-year-old daughter in a stroller. 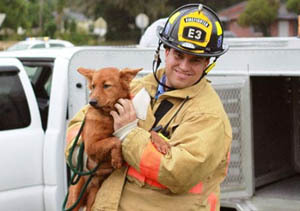 Dunsmore said that several pedestrians including firemen and police jumped in to assist, and managed to free the dog. Merritt’s bylaw, officer Bob Davis, impounded the pit bull and the border collie underwent immediate surgery for injuries sustained, which included major damage to its tendons and hindquarters. Davis said he was only a block away when the attack occurred and was able to intercept the pit bull’s owners as they moved away from the scene. Members of the Merritt Fire Rescue Department were driving by at the right moment, he said, and public works employees were also close at hand. With the Community Policing Office located close by, RCMP also responded immediately and assisted in breaking up the attack. Because of the aggressive nature of the pit bull, Davis said those involved decided to euthanize the dog and, with its owners’ permission, the dog was put down Friday morning. Friday’s attack is the second pit bull attack this year. In August, Marjorie Barton’s five-year-old pomeranian was attacked as they walked along the river trail near Merritt’s recycling depot. Still, Davis doesn’t believe that all pit bulls are necessarily dangerous. There are no dog breeds banned in the City of Merritt and no dangerous dogs licensed in Merritt either. Davis said the city is not moving towards banning any dogs, but he said his focus has been on encouraging owners to be responsible and keep their dogs on a leash. Overall, Davis described the attack as a tragedy for all involved. ALABAMA -- A brown pit bull Tuesday attacked a llama and two goats and was found eating a third goat at a Bagley Drive residence, Anniston police said. Investigators Wednesday were looking into the incident after the 56-year-old man who owns the residence and the livestock reported the animal attacks to police. The man told officers that he first noticed a problem when he went outside Tuesday morning around 5 to feed his llama. The animal was suffering from injuries and bite marks to its left leg, a police report shows. Then the man noticed that two of his goats were missing. He reported that he saw a brown pit bull with a spiked collar running through his yard in the 600 block of Bagley Drive, a street west of Anniston but in the police jurisdiction near Bynum-Leatherwood Road. As he walked through his yard, the man found one goat with both of its ears torn off and another with severe throat injuries, police Capt. Richard Smith said. Then, in another area of the property, the homeowner caught the pit bull as it ate the third goat, Smith said. The man told police he retrieved a rifle from his house and shot at the dog but doesn’t know whether he hit it. Investigators Wednesday were gathering information about whether the dog has owners and who they are. Smith said the owner could be prosecuted for letting the pit bull run loose, a misdemeanor crime whose perpetrators “shall be fined not less than double the damages sustained by the injured party or parties,” according to the Alabama criminal code. Persons convicted of the crime can also be sentenced to jail or hard labor for up to six months. ILLINOIS -- Despite being convicted of neglect and animal cruelty to five horses, Jamie Koy, 37, will not see the inside of a jail cell - not even for one single night. A McHenry County judge Thursday sentenced Koy to two years probation and 60 days in jail, fined her $1,200 and ordered a psychological evaluation. However, Judge Charles Weech said a 60-day county jail sentence would only be triggered if Koy fails to care for her horses while on probation. Weech warned her that she would be watched closely. "These horses were in dire straits. They were in trouble," he said. "I want to prevent this from ever occurring again." 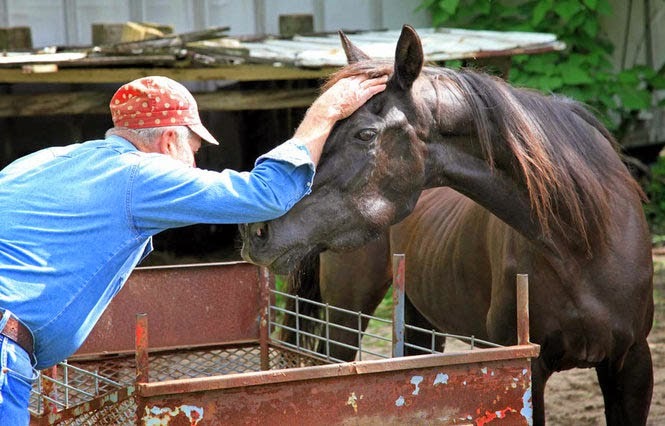 Koy and another woman were arrested in fall 2010 after authorities found 14 malnourished and poorly cared for horses in the 6100 block of East Hillside Drive near Crystal Lake. 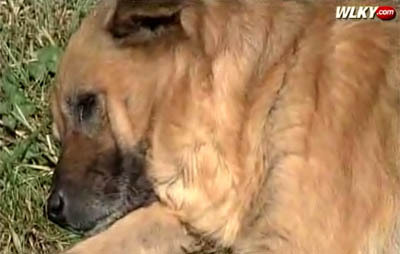 A jury convicted Koy in May of eight counts of animal cruelty and 16 counts of animal neglect. Two horses were euthanized because of their poor condition. Koy, who declined to comment after the hearing, faced up to a year in jail. Shannon Riley, 22, on Aug. 31 agreed to one year supervision, 25 hours of community service and $455 in court fines and costs. If she completes her supervision, her record will be wiped clean of the misdemeanor neglect charge (as though it had never happened, as though Shannon Riley didn't get up every single morning and make the choice to not feed her animals, as though those horses didn't spend every single minute trying to find something to eat to stop the never-ending hunger pains). At Thursday's hearing, Assistant State's Attorney Matt Ciesielski argued for a 90-day sentence, an evaluation and two years of probation during which Koy and other people living with her would be prohibited from owning horses. "The only person who didn't think there was anything wrong with the horses was the defendant," Ciesielski said. "Every single other person (who testified) and every single piece of evidence indicated otherwise." But defense attorney Dan Hofmann argued that Koy did not have a prior criminal record and that several horses were returned to her in December 2010 and there have been no further reports or charges of neglect. Hofmann said Koy adopted some of the horses with "the best of intentions" to rehabilitate them but simply took on too much responsibility. "She had ambitions. They did not come to fruition," Hofmann said, arguing for probation and community service. "It was a very serious case of negligence. We can't say that it wasn't." Weech also said he took into consideration that several horses were returned to Koy. "I would assume if they were not in good condition, there would be additional charges filed," he said. MICHIGAN --- Their is blood on a pair of 58-year-old Walter Rayford's sweat pants after a neighbor's pit bull attacked him and his ten-year-old granddaughter's puppy named Bella. "I see the dog's face. I hear the screams," said Walter Rayford. "She looked me in my eyes, like momma help me, and I couldn't help her," said Yolanda Rayford, Walter's daughter-in-law. Bella was so bad off, she had to be put to sleep after the pit bull attacked Saturday, and Walter Rayford is haunted by what happened. "I heard the noise, and I looked up and I seen this thing coming at me," Rayford explained. "About 50 pounds of muscle that was hell bent on doing what it wanted to do." "I was out there when it happened. I was beating my own dog, so it's not like I don't care. 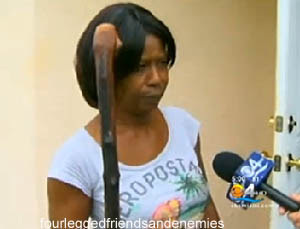 I was very apologetic that day," said Melanie Brown, the pit bull's owner. "We were wrestling. We were tussling in the dirt and on the sidewalk, in the street," Walter Rayford said. "I started beating the dog," Walter Rayford told us. "As I'm down there wrestling and beating my dog and the neighbor is beating my dog as well. We [were] trying to save his pet, not mine," Brown said. "A friend of mine came up with the ... blow torch lit and actually put it to the dog's skin, and I seen the dog's skin begin to turn brown, but it did not phase him. I tried to choke the dog. I put the chain around his throat. I did everything I could," said Walter Rayford. He was not thinking about himself, but just wanted to protect Bella because he didn't want to disappoint his granddaughter. "At night, I see the puppy. I see my granddaughter. I let my granddaughter down," Walter Rayford told us. He said his wife called 911. "Nobody showed up," Walter Rayford said. His son went to the police station to file a report, and he told us he also went to give his firsthand account, but felt like nobody cared. "It was like I wasn't even there, even though I was standing in front of them," Walter Rayford explained. "You need to care. You have constituents here that are paying taxes that they need help when they call," Yolanda Rayford said. They wanted animal control to come, the cops, somebody because what if this dog went after somebody else? "I had to put my baby to sleep, and that dog's still breathing. There's injustice there," Yolanda Rayford told us. "I would just put mine down. That's what I've been thinking about since it first happened," said Brown. PENNSYLVANIA -- A Philadelphia teen was attacked by a pit bull while having a seizure in her home Wednesday. The incident happened at about 11 a.m. in the 5200 block of Arlington Street in the city’s Wynnefield section. Authorities say the 19-year-old, who has a history of seizures, was seizing on the floor when the family dog attacked her. The dog ripped off the teen’s ear. The victim’s mother’s fiancée found her on the floor and called for help. She was taken to the Hospital of the University of Pennsylvania for treatment. Police recovered the girl’s ear and brought it to the hospital on ice. The dog has been removed from the home by the SPCA. CANADA -- A nine-year-old girl and her father were taken to hospital by ambulance after the St. Bernard the family rescued six weeks earlier attacked them. Police arrived and the dog, still on the tear, aggressively approached the vehicle. The officers tried to use the police care as a shield between the dog and the house, trying to get inside after learning through calls to the residence the father was losing a lot of blood and likely going into shock. With the ambulance fast approaching, the officers finally had to put the animal down when it came at them once again.Both father and daughter suffered numerous deep bite wounds as a result of the attack.There were no previous incidents with the dog since the adoption. INDIANA -- For the second time in two months a reported dog bite case in St. Joseph County resembled a home invasion. Today, two women suffered serious bite wounds in the privacy of their Oak Road home. “We received a call from a frantic female 911 caller that a dog has broken into her house and had attacked her and her elderly mother,” said Sgt. Matt Blank, with the St. Joseph County Police. In mid September, police were called to the same home in the 56-thousand block of Oak Road for the same thing. Today it was clear that the home had been the scene of a vicious attack because 68 year old Nancy Peppers suffered a compound fracture of the ankle. While police found three dogs on the property—all three belonged to the homeowners. “As for right now, in my personal opinion, in the experience, I think it was the homeowner’s dog who did the attacking,” said Jordan McGuire with the St. Joseph County Humane Society. McGuire was referring to a one-eyed Pit Bull mix named “Bull” that was present inside the home during both incidents. In September, it was alleged that Bull was attacked by an intruding dog that broke through the window of the front door of the home. “He’s my baby, I would have done anything to save him, make sure he didn’t get killed,” Theresa Reeves told News Center 16 at the time of the September attack. In September, Bull’s bruises, scratches and bite wounds seemed to back up the story that he was attacked by a canine intruder, and that Teresa Reeves was bitten when she tried to break up the fight. Today, Bull didn’t seem to have a scratch on him, according to police. Police say they went to the hospital in the afternoon to check on the victims of the attack, and that is when the story unraveled. Sgt. Blank said that Teresa Reeves admitted that Bull was the dog that did the biting. The Humane Society did not remove the dog from the home because it was properly licensed and up to date on its vaccinations. CALIFORNIA -- Emotions are running high in a quiet Linda neighborhood a day after learning that a pit bull that attacked a 5-year-old girl will likely return to the community in a little more than a week. "I'll get her back in 10 days after she's out of quarantine," said Misty McVey, the owner of the pit bull that bit Tiare Faulpula on the face and wrist Monday afternoon after breaking through a backyard fence. The child was hospitalized briefly Monday, but injuries were described as minor. She is recovering at home, according to DeAna Borjesson, a family friend and the woman who shot the pit bull in the face after it came into her backyard and home. Efforts to reach the girl's mother, Serina Faulpula, were not successful. The 2-year-old Pit Bull named Frajya is expected to recover, but the .25-caliber round is expected to stay lodged in her nose, McVey said. Borjesson is incensed over the owner's plan to bring the dog back to the neighborhood. She is organizing a neighborhood campaign to keep the dog out. Borjesson has said she believes all pit bulls should be "extinct." "It's outrageous. I think (McVey) is more concerned with her dog than she is with saving a human life," Borjesson said Tuesday. Further fueling Borjesson's anger is her fear the dog was guarding McVey's medical marijuana grow at her home. The Yuba County Sheriff's Department confirmed the marijuana growing at the home is legal under Proposition 215. McVey, however, adamantly denied any connection between the dog and the marijuana. "She's never been trained, she's not a guard dog, she's only a family dog," McVey said. "My neighbors know we grow, we told them. I don't understand why suddenly it's a problem." 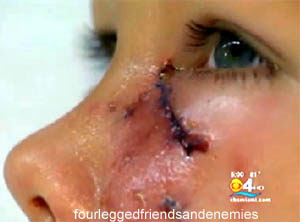 McVey, a mother of three young boys ages 3, 6, and 9, said she believes the incident has been "blown out of proportion." "I don't even believe for one minute there was even an attack, I don't believe that at all," McVey said. "I believe the child was scratched, not bit." McVey said her dog's behavior Monday was "unacceptable," but said whatever happened, it was not an attack. "She gets overexcited, I've seen that, but she loves children," McVey said. "She plays with my kids all the time." 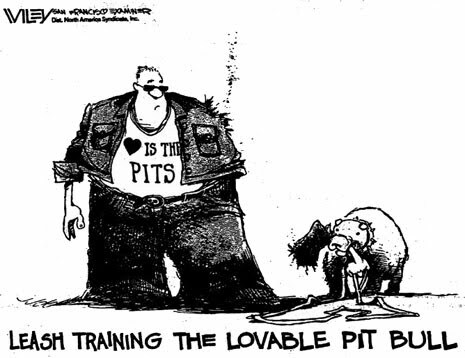 At least one North State SELF-DESCRIBED "pit bull expert" agreed with McVey's theory that the dog may have been trying to play with the children. "That could be very, very true," said Debbie Eaglebarger, owner of Second Chance Pets in Tehama County. Eaglebarger trains pit bulls professionally and even offers classroom instruction about animal safety for school children. "When I go to the schools, the pit bulls are the only dogs I take with me," Eaglebarger said. "They're the only dogs I completely trust not to bite." Eaglebarger said pit bulls have bad reputations, which she blamed on the media. "It's only because headlines like 'pit bull attack' sound better than ones like 'German shepherd attack,'" Eaglebarger said. 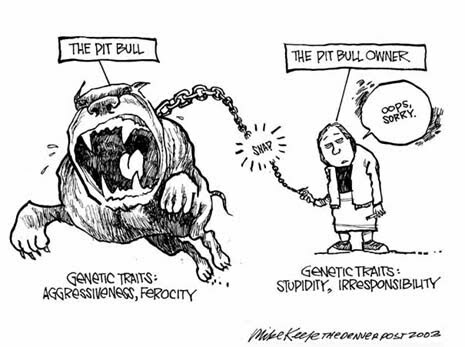 "Pit bulls love people and they are genetically bred to be friendly." She said many reported attacks are simply misunderstandings. "[Pit Bulls] love to nuzzle the neck and sometimes people get scared because of their size and think they're being attacked," Eaglebarger claims. 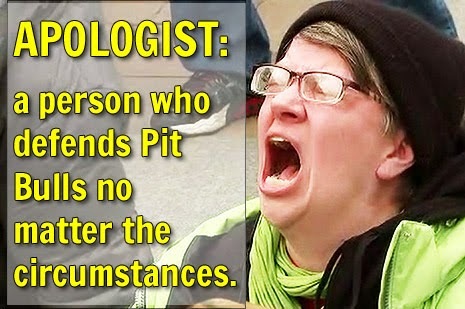 Note: I've got to give this crazy lady some credit b/c I've never heard this lie before: "That pit bull wasn't trying to tear out your throat! He just wanted to nuzzle your neck. Pit bulls love to do that!" But that is not what happened Monday, Borjesson said. "I saw the biting and there was blood all over my backyard," she said. Neighbors are also sharply divided over the dog's planned return. Robin Richardson runs a child daycare center from her home a few houses away from the site of Monday's incident. She is opposed to the animal returning and said she is concerned for the safety of the six small children she cares for. "I never worried about the kids playing in the backyard before now," Richardson said. "But I'm not going to let them out unless I'm right there." Others neighbors, like Justin Pace, were more supportive of the dog's return, but still concerned. "If they can keep the dog where it needs to be, it should be fine," Pace said. "But, I have nieces and nephews that visit on the weekend and the same fence in my backyard, so that's a worry, definitely." And some said they would welcome the pit bull back with open arms. "I don't think a dog like that would ever just attack without being provoked or something," said Jason Gregg. "I've heard it is a good dog. I have no problem with it coming back at all." Really Jason? Go look at this little girl's face and say that. Borjesson said she hopes to meet with McVey and her family to discuss her concerns. "I know she cares about her children the same as me, but this whole thing is completely and totally outrageous," Borjesson said. "My kids are too afraid to go into the backyard anymore and that is really just not right. It's nothing personal against them, but I'm mad that my children are being exposed to all these things." Borjesson said if the dog does return, she will demand the owners replace the wooden fence with a metal one. MASSACHUSETTS -- A Fitchburg woman's actions set off her boyfriend's dog, resulting in criminal charges in an August domestic assault, according to court documents. Noel Fenzel, 24, of 74 Mt. Globe St., Apt. 6, allegedly began slapping and hitting her boyfriend as they fought, when the boyfriend's 3-year-old pit bull [attacked], taking a big bite of her arm. When the boyfriend tried to pull the dog off Fenzel, the dog [turned on] him, tearing his skin and muscle as well, according to a narrative by Officer Keith Bourne. The boyfriend requested no charges be filed against Fenzel, but Bourne charged her because her actions set off a dog attack that caused serious injury requiring medical treatment. Fenzel was arraigned Tuesday on charges of assault and battery and assault and battery with a dangerous weapon. She was released on her own recognizance and is set to return to court Dec. 1. 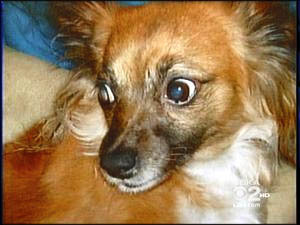 UNITED KINGDOM -- A disabled woman today told how her beloved pet was mauled by dogs as their owners looked on. Elizabeth Baker, 41, of Alderman Road, Ipswich, is calling for stricter supervision of dangerous breeds after police said they could not treat the incident as a criminal offence. Ms Baker was exercising her dog Treacle on recreation grounds near her flat at around 11.30am on Monday, October 18, when the attack happened. Treacle, a Jack Russell-whippet cross, was approached by what Ms Baker describes as a pair of Staffordshire bull terriers. “Next thing I knew they were on her,” she said. Ms Baker claims the dogs’ owners, two males of around 18 years old, made no attempt to break up the melee. 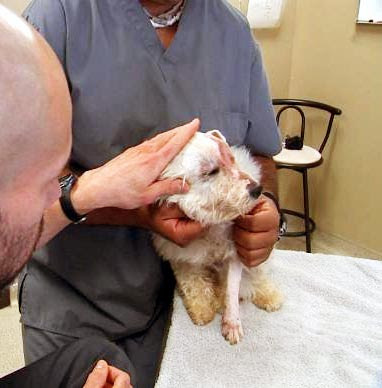 Her rescuers, a man and a woman, waited with Ms Baker for a taxi to take her dog to a vet. Treacle sustained injuries to a rear leg requiring sutures and superficial bite wounds to her neck and chest. 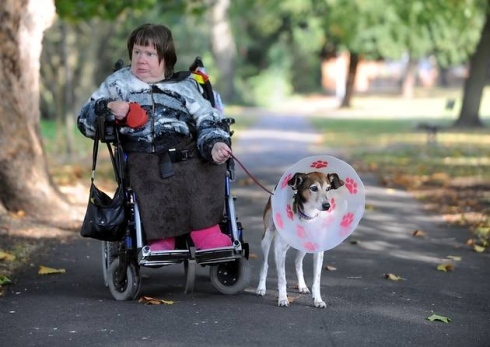 Ms Baker, who has been disabled since birth with spina bifida and hydrocephalus, has spent almost £400 on treating her dog’s injuries, and expects to pay out more. “All dangerous dogs should be on leads or muzzles,” she said. 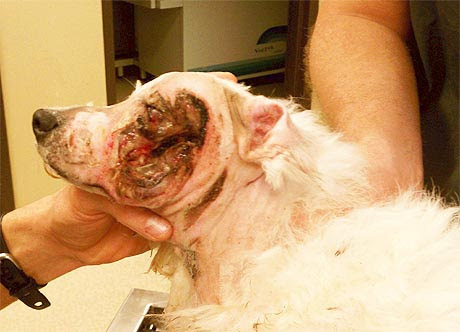 Suffolk police have said this week that dog-on-dog attacks are not a crime, and that they cannot investigate further. Unlike pit bull terriers, Staffordshire terriers are not covered by the Dangerous Dogs Act, which forces owners to muzzle and leash their dogs in public. Paula Boyden, veterinary director at the Dogs Trust, said: “We have called for an amendment to the act to adequately deal with aggressive or dangerous dogs based on the actions of a dog rather than its breed. AUSTRALIA -- Two Mastiff dogs have been seized by Albury Council rangers after attacking a Jack Russell cross in Glenroy yesterday. The dog was attacked by the roaming pair in Wilkinson Street at 1.45pm, sustaining minor injuries. A council spokeswoman said the mastiffs, which were not registered or micro-chipped, had been impounded. She said if they were not claimed within seven days they would be destroyed. Anyone who saw the attack or knows the dogs’ owners should contact the council on (02) 6023 8111. WISCONSIN -- Action 2 News has learned criminal charges will not be filed in connection with a pit bull attack earlier this month in Sheboygan. Police say the 2-year-old boy injured in the attack will be leaving the hospital soon and coming home. He underwent emergency surgery following the incident. Investigators say the boy hit the dog on the head -- prompting the dog to latch onto the child's face and vigorously shake him. Authorities did cite the owner of the dog -- a family friend -- with a municipal violation of having an unlicensed dog. We're told test results from the euthanized pit bull show the dog did not have rabies. MICHIGAN -- The Crawford County Animal Control Officer and Crawford County Sheriff's Deputies are investigating a pit bull attack, which occurred in Grayling Charter Township on Friday. Crawford County Sheriff Kirk A. Wakefield said Deputies were dispatched to the Grayling Mobile Estate on Friday, Oct. 21 for a pit bull attack. When deputies arrived, they were told that the brother of the dog's owner took the pit bulls from the area after the attack. The investigation led deputies to the scene of the attack, where a small black dog had been mauled and another small white dog was found decapitated from the vicious attack, Wakefield said. The pit bulls and their owners were located at another location in the Grayling area and were cited by Crawford County Animal Control Officer Gail Foguth. One of the dogs was still covered in blood, Wakefield. Foguth took the dogs to the AuSable Valley Animal Shelter in order to protect the public. Photographs were taken to aid in the investigation, but due to the graphic nature of the pictures, they are not being released, Wakefield said. FLORIDA -- A Charlotte County Sheriff's deputy arrested a Port Charlotte man Tuesday after the man allegedly sicced his pit bull on the officer. Arrested was Phillip James Tenk, 48, 2354 Sunninglow Street. A neighbor called deputies after he reportedly caught Tenk slashing a neighbor's tires. A deputy heard the description of the suspect and believed it to be Tenk who was a suspect at the same home Monday when a beach chair was thrown through a window and lanai screens cut due to a domestic issue. The CCSO helicopter responded to Tenk’s home and observed a vehicle pull into the driveway. A road deputy went to Tenk’s home and saw him holding his large pit bull. The deputy announced himself several times; Tenk looked at the deputy and told his dog to “Get him” and then released his grip on the dog. The pit bull ran at the deputy in an aggressive and threatening manner. The deputy, fearing he was going to be attacked, drew his weapon and ordered Tenk to recall his dog or the dog would be shot. Tenk complied; his dog was secured by his brother, and Tenk was arrested. Tenk is charged with Aggravated Assault on a Law Enforcement Officer, and Criminal Mischief. The neighbor who called CCSO was driven to the Tenk home and positively identified him as the man he saw at the home who walked away from the pickup with the slashed tires. Tenk remains in the Charlotte County Jail on $6,000 bond.